Beautiful and impressive face is not only desirable but also means a lot for everyone who cares about building up a pleasant personality. There are obvious reasons because of which you may begin to notice the charm and youthfulness of your face to be slowly disappearing which is nothing but cosmetic degeneration with time. Ageing is a prominent reason for it but ageing alone is not to be blamed for diminishing freshness of your face. Psychological reasons like stress and anxiety also have their own share of negative impression. Liquid Facelift procedure at Leeds Clinic offers a new hope to revive the lost volume of your face, especially for the cheeks that are known to have a major impact on creating an overall facial impression. The negative impact in this context is caused because of gradual loss of volume from the cheeks that evidently exposes the cheekbones and also makes your chin to appear more prominently. Cosmetic experts use the expressions of ‘V shaped’ and ‘reverse V shaped’ impressions on your face starting from cheekbones to chin. Ideally if you have a ‘V shaped’ face, you are doing fine from the cosmetology perspective. Normally everyone has the desired shape when they are young and with time passing by, they attain the abnormalities that would evidently diminish the beauty quotient. Liquid Facelift with dermal fillers would be a very reliable solution to gain back the lost volume and retain a very impressive face. Cosmetology is fast maturing and transforming itself with time because of new inventions and introduction of novel techniques. One of the major developments in this area is the growing prominence of non surgical procedures like Liquid Facelift for facial enhancement. Though the relevance of surgical therapies is pretty much alive, there are many conditions for which there is no need for surgical intervention which is a welcome development about cosmetic therapies offered across the world. Face uplift is now a routine activity for which the treatments that won’t result in permanent change are preferred. Liquid Facelift with dermal fillers is one of the preferred cosmetic procedures to facilitate a renewed facial structure with a healthy and charming look. No cosmetic treatment or therapy is exclusively meant for cosmetic beauty enhancement alone. You opt for such a treatment to gain a new perspective in your life which is backed by emotional and psychological strength. Every successful cosmetic treatment is a psychological booster for you and in that sense the value of Liquid Face is immensely huge in order to keep you inspired and motivated. The present trends and developments of cosmetology also suggest the need for specialized and dedicated cosmetic solutions. In line with the expectations, our Leeds Clinic for Cosmetic Care has always been proactive in classifying and offering treatments that are highly targeted and exclusive in their nature. 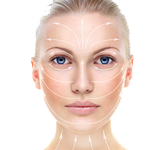 That way you can expect specialized approach and care at our clinic when you talk to us about your facelift demands. It has always been the case that the successful outcome of any cosmetic procedure depends on your choice of clinic. It might appear to you from the outset that injecting the dermal fillers is pretty simple and therefore you need not get it done from a premium center, it might have a huge negative impact if the procedure is not implemented as per the recommended procedures. Our Leeds Clinic is not only known to be reputed for its credibility earned by quality treatment solutions in cosmetology, but also remembered for personalizing treatment options and solutions. To that effect, attempts have always been made to recognize your personal preferences and priorities based on which the treatment planning is done at our center. For this very reason, we give a lot of importance to the consultation phase during which we zero in on the target locations and preference of the dermal fillers as well. Going by our internal standards and review, we recommend Radiesse® and Juvederm® for the sake of Liquid Facelift. These dermal fillers are preferred for very compelling reasons among which the possibility of retaining a natural look is something one can’t ignore. Facial peel is recommended for some patients along with dermal fillers, which is purely based on the expert assessment of your skin type and properties. The procedure is precisely about carefully and strategically injecting the dermal fillers in your cheeks region as a result of which your face can retain the lost volume. Going by the complexity analysis of various cosmetic therapies purely based on perceptions, it is clear that non surgical procedures like Liquid Facelift are perceived to be very comforting because patients consider them to be less complex. Though the whole credit doesn’t go to the nature of therapy, the truth also remains that this procedure is relatively safe with limited considerations. Since the process of Liquid Facelift with dermal fillers is all about injecting the fillers, you need to be prepared for the pain associated with series of injections on your cheeks. Having considered that, you can also rest assured that the pain management is also not so complex and the pain in this context is temporary. There are certain procedure related side effects you need to aware of and be considerate about. They could range from simple swelling and redness. You don’t necessarily require any special medical care as the related side effects or post therapy complications would subside on their own. Since you will be undergoing your procedure under the care and guidance of reputed cosmetic specialists, you have absolutely no reason to be apprehensive about the outcome and end results. You can pretty much relax and experience the benefits of Liquid Facelift. Nu Cosmetic Clinic is recognized for its reputed cosmetic solutions and positive track record, our centers for cosmetic care and excellence are spread across the UK. We assure you the best of quality treatments and care from all our cosmetic centers that are comparable with the Leeds Clinic.